You were going to throw your old T-shirt away, but I am telling you to put it to better use! … of the t-shirt! That minimized the waste! 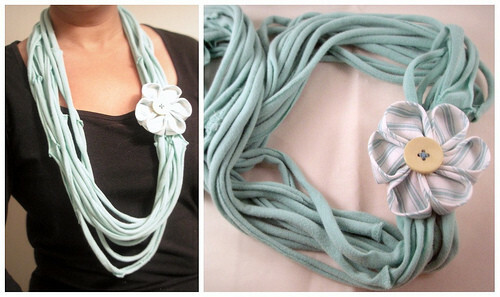 You can recycle your old t-shirt into a trendy scarf. Here we teach you how to make t-shirt scarf from old t-shirts. Take a t-shirt (not a thick one) and make a cut from armpit to armpit. Make one inch cuts from one seam to the other. Don’t cut through the top seam. Pull each individual strand so they curl. Gather your material at the seam to create your scarf. Take a piece of fabric and wrap it around the uncut seam. I just used some of the fabric I had left over from the original shirt. cover this business with a fancy pin. Hope you like our tips to use old t-shirts to make scarf. 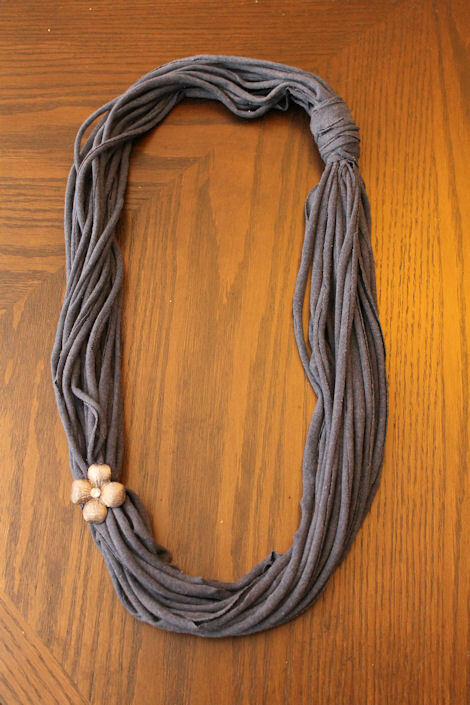 Share this idea with your friends and amaze them with this beautiful hand made scarf. 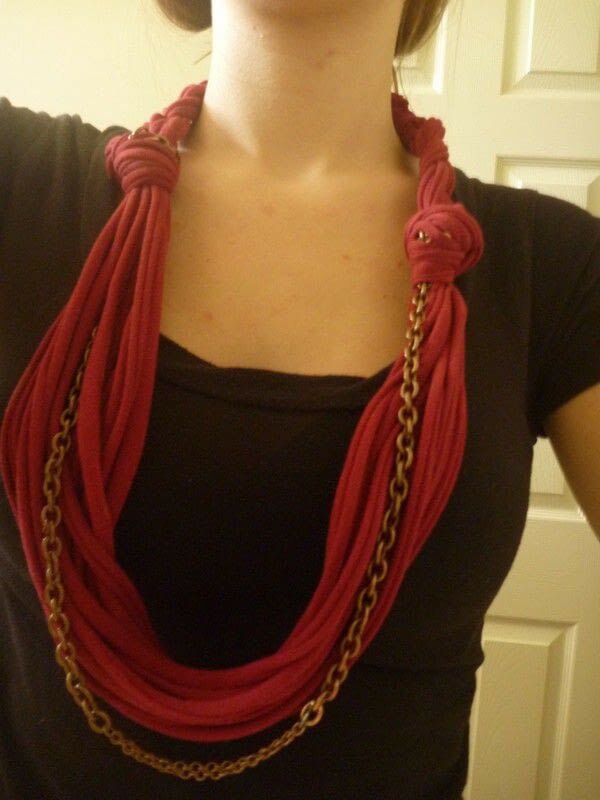 Check out some images on pinterest to maximize your creative side and ideas to make Scarf from old t-shirts.